Charles Rycroft was born in 1914 and was educated at Wellington College and Trinity College, Cambridge. He went into private practice as a psychoanalyst in 1947 and from 1956 to 1968 was a part-time Consultant in Psychotherapy at the Tavistock Clinic. 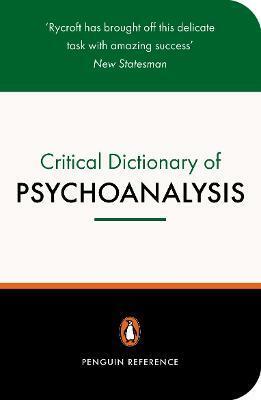 He wrote many key books on psychoanalysis including 'Anxiety and Neurosis' (1968) and 'Psychoanalysis and Beyond' (1985). He died in 1998.